According to the Bureau of Labor Statistics, fires and explosion accounted for 148 workplace deaths in 2013—or 3.4% of all fatal occupational injuries for the year. Despite industry and regulatory efforts to improve fire safety, this number (and percentage) has remained stubbornly constant since 2007. Despite this levelling off, it’s clear that OSHA intends that employers should remain committed to finding ways to reduce the number of fire-related fatalities in the workplace, and intends to enforce a high standard for fire safety. OSHA stipulates that businesses should train workers regarding potential fire hazards in their workplace, and also on what procedures should be followed in the event of a fire emergency. OSHA recommends that all employers have an emergency evacuation/action plan in place in case of fire—featuring safety assignments for key personnel—and requires these plans for certain industries, such as hazardous chemical processing. Many of OSHA’s fire safety recommendations are industry- or even job-specific. For example, in the construction industry, OSHA calls for a “fire plan” to be formulated prior to any demolition job. Other OSHA-mandated standards — like the presence of adequate fire exits — are required in every industry. There are many common misconceptions related to OSHA’s fire safety requirements. One is that all employers are required to have portable fire extinguishers on-site. While this is not the case in most industries, OSHA does require that if employers do choose to provide extinguishers, employees must be trained on their use. Another misconception is that OSHA requires all employers to have fixed extinguishing or automatic sprinkler systems in all workplaces. Again, only in certain industries are these systems mandated. However, if they are in place, then OSHA can potentially enforce standards for their testing and maintenance. Whew! Sounds like a lot to keep straight, right? Luckily, on-demand fire safety training solutions from MSDSonline can make it easy to train your employees on required (and recommended) OSHA guidelines. Among MSDSonline’s expert-reviewed trainings, you’ll find Fire Safety and Prevention. This is a great place to start! Fire Safety and Prevention gives employees a review of fire safety principles including the recognition and prevention of hazards, emergency procedures, fire extinguisher operation and maintenance, and more! This training also features information required by OSHA’s Workplace Fire Protection Program including units on employer responsibilities, exit plans, and fire fighting equipment. Has it been a while since you thought about your evacuation plans? MSDSonline’s Emergency Plan and Evacuation Procedures – Awareness/Refresher is a great way to give yourself and your employees an awareness-level refresher training on emergency planning, safety, and evacuation procedures in the event of a fire or explosion. The course also covers procedures for hazardous material spills, natural disasters, bomb threats, and workplace violence. Do you work in a lab? Our Laboratory Safety — Flammables course reviews of the unique fire hazards that can arise in a laboratory environment. 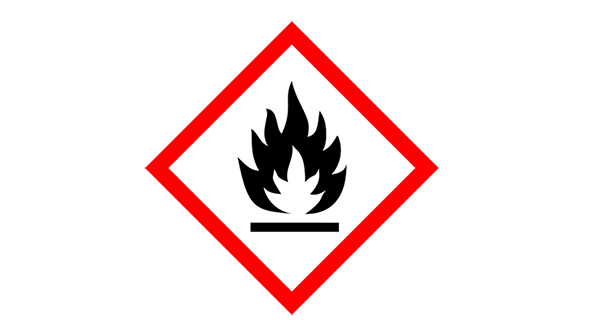 It also covers proper handling and storage procedures for flammable chemicals. Moving the numbers on fire safety in the workplace might seem like an intractable problem, but OSHA is clearly committed to using its authority to keep businesses headed in the direction of safety and compliance. For more information how MSDSonline’s suite of trainings can help you bolster fire safety in your workplace, visit our online workplace training course library.